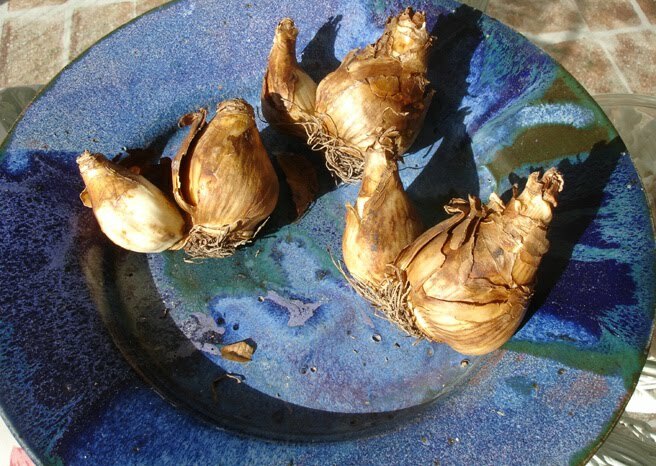 Poem “Daffodils” – An Unorganized Mind/Musings and Memories with Photos *To view the complete Menu: Click on menu then use the down arrow to scroll down the Menu Categories. My granddaughter, on a special birthday one on one date with Grandma in lieu of a wrapped birthday present. We went shopping. She is wearing the little sundress and the sunglasses I bought her. She didn’t take the sunglasses off all day long. 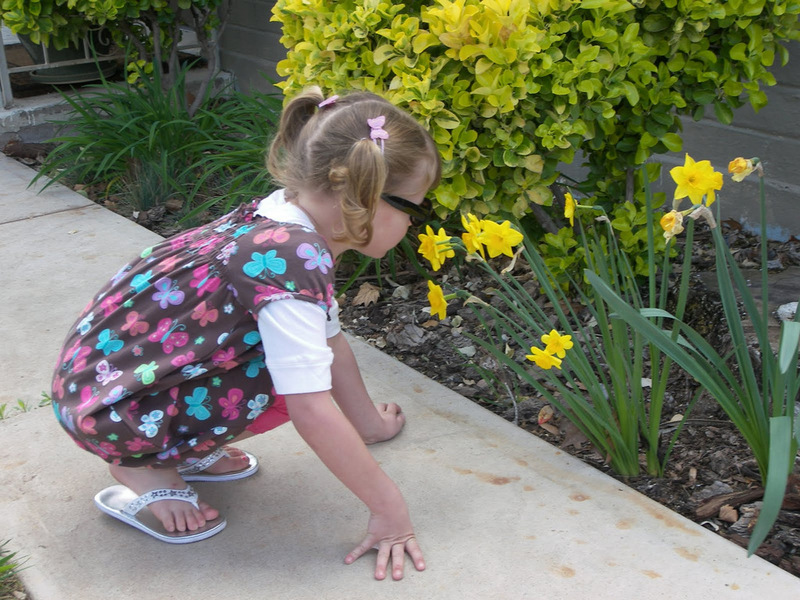 We also do a photo-shoot around town and I loved this one of her, squatting, sniffing the daffodils at Aunt Anna’s. 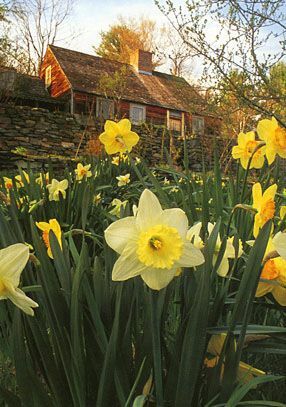 POEM: DAFFODILS BY WILLIAM WORDSWORTH with Quote and Photos about Tasha Tudor’s Lifestyle and her Daffodils. Tasha Tudor always wanted ‘to live on a secluded farm . . . with a garden and a menagerie of household pets and barnyard animals, and to illustrate children’s books.’ And that’s exactly what she did. This gorgeous book lovingly displays her life and her illustrations while recounting her personal philosophy of living an 1830’s style life. 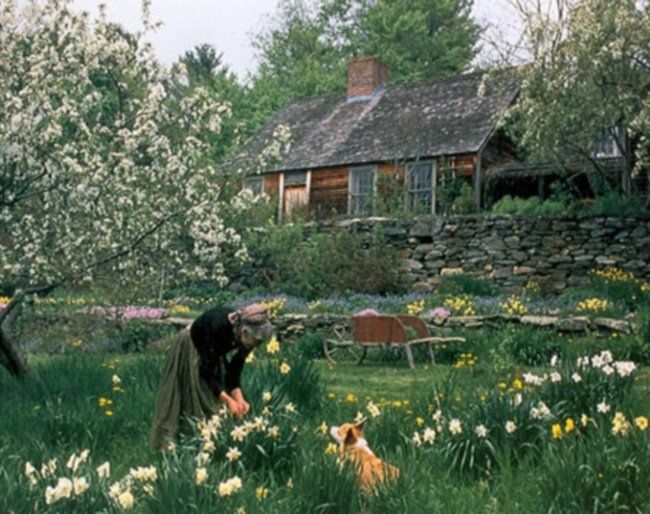 Review: Ms. Tudor’s ‘greatest pleasure is clearly her garden.’ After seeing the spectacular images of the blooms bursting from that rocky Vermont soil, your views of what can be done with gardens will be transformed forever.